What is Aerial Mast Photography? Sports Photography, Journalism, Architecture, Surveying, Inspection Marketing of property plus many more applications. There are many reasons to get your camera elevated. Photographers often take time in finding a decent point to take a photo. Because it is not that easy or cost effective - we forget that UP in the air a few feet is best! The kind of height we are talking about is not plane/helicopter or 25 metre pole aerial photography. We have all witnessed and probably purchased incredible photographs from high altitudes using either sophisticated mast photography equipment or even extremely high photographs from Helium Balloons. Helicopters, planes, balloons and drones are currently the only way to obtain this style image. Either way, the kind of Aerial Photography we are talking about has always been taken by professionals, using professional Aerial or Pole Photography equipment. We are talking about the 10 - 30ft sort of UP! Placing your Camera in the elevated position will allow you to look over crowds or other obstructions, present landmarks or architecture and property in a fuller way - but also peer down onto sporting or other events to obtain a never seen before angle. Pole Photography or Aerial photography of this nature is perfect for journalists or Estate agents too. With digital cameras, automatic focusing, and delay timers or remote triggers, taking these pictures has even become easy and inexpensive. In fact, the real desire is the ability to remotely trigger the camera, any camera and not have to use an expensive camera with a built in infra red or wired trigger system. What are some of the benefits of this low-altitude aerial pole photography? Sports Photography - Allows you to take photos from points of view that are interesting and that you would never ever see! Event Photography or Journalism - From a normal eye level situation, the photographer struggles with the crowd and its obscured view of the event or incident. From just a few feet up, the band, wedding, or incident becomes the sole focus and also provides a different and interesting aspect which is all within a larger point of view. In Journalism - the best image pays well! Surveying and Inspection - For years various methods of platforms and ladders have been used to enable closer inspection of objects at height. With the recent onset of Health and Safety and a genuine focus on staff welfare this method is not always a safe or authorised way to inspect - meaning expensive lifting machines or using binoculars to inspect from the ground. 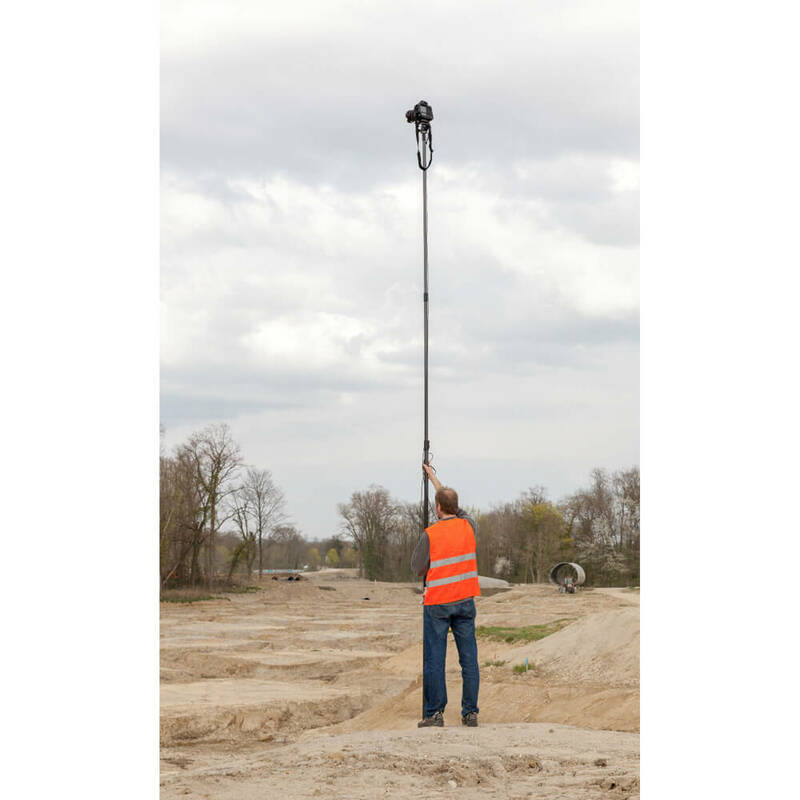 The solution, use your very own Digital camera elevated on a telescopic mast or pole to inspect and review the images on the day. All of your Aerial Photography images will be recorded for further investigation and submission or forwarding to a client if required. With today's modern and quality images provided by relatively inexpensive digital cameras, an image can be taken using the pole or mast photography and digitally enhanced for closer inspection later on, perfect for report writing or submitting supplementary evidence. •	Residential and commercial estate agents – A straight-on shot from the ground may mean that the garage door is the most important feature but taken from up high, the whole building is shown and the garage can be seen in proportion. In this way a sales brochure can provide a perspective purchaser with an accurate view of the building, its surrounding land and features. • Similarly advertising agencies, media companies and auctioneers can optimise pictures to capture and market a feature that may not otherwise have been visible. Also useful for architects, structural engineers and insurance companies, to ensure accurate reporting. 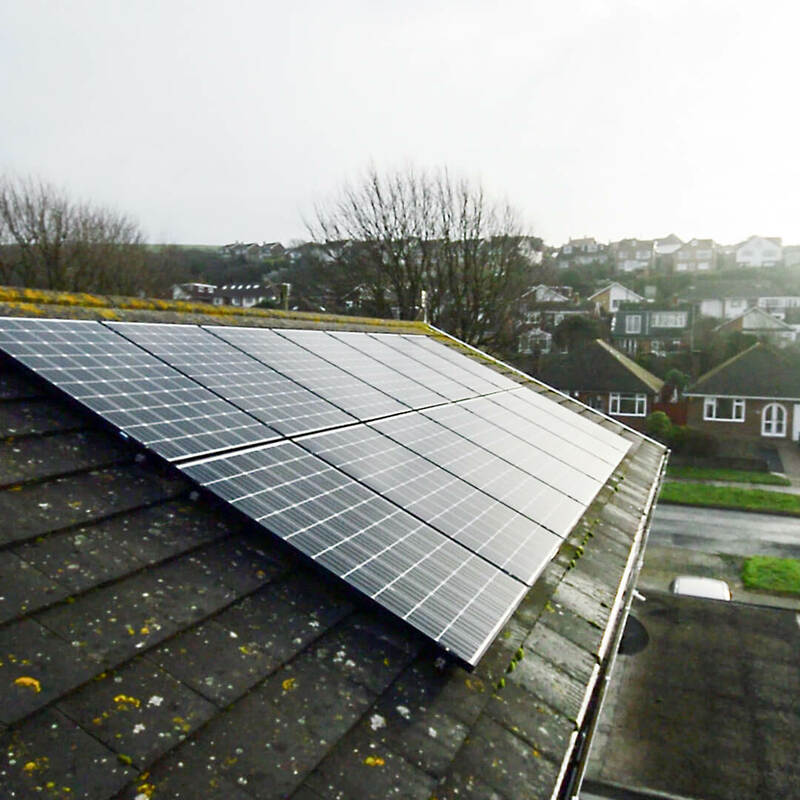 •	Timelapse, in conjunction with aerial mast photography can be used by property developers, roofers, landscapers and archaeologists to record changes in a development or indeed, for surveillance purposes. This can be useful too for traffic and road surveys by Local Authorities, or to record the movements and migration of wildlife by conservationists. •	Marinas, boat surveyors/engineers and leisure boaters can use an underwater camera on a mast to inspect boat hulls and shafts for damage, snarled or damaged propellers, etc. •	Gain some height to take pictures unhindered by obstructions to capture that special wedding day, action at a sporting event or concert. The list of applications and by whom they may be used is almost inexhaustible.